Trademark Collection by Wyndham is sponsoring today’s post, but as always, all thoughts and opinions are my own. I’ve worked with a lot of brands over the years, but today’s partnership is something real special for me. Getting the chance to showcase a brand that has been part of Louisville’s history and culture since 1972 is definitely a career highlight. Especially since the Galt House is easily one of the most recognizable names in town and the region. About to be made even more recognizable around the globe as it was recently announced that they’ve joined the Trademark Collection by Wyndham family! Some quick facts on the Galt House: it’s a 25 story, 1300 room hotel, and it also happens to be the city’s only waterfront hotel – which makes it the perfect home base for events like Thunder Over Louisville and Forecastle Festival. They also happen to be the Official Hotel of Kentucky Derby 145 and Kentucky Derby Festival! They’re currently going through an estimated $80 million renovation, and every single space is getting an overhaul with the first phase of renovations expected to be wrapped by 2020. I got the chance to do a hard hat tour of two floors of rooms as well as a new restaurant and bar concept that I can’t wait to enjoy! Besides cosmetic renovations they’re also incorporating plenty of local flair into the property by way of local artists. A recently introduced Artist in Residency program works to bring artists from both near and far to the hotel. 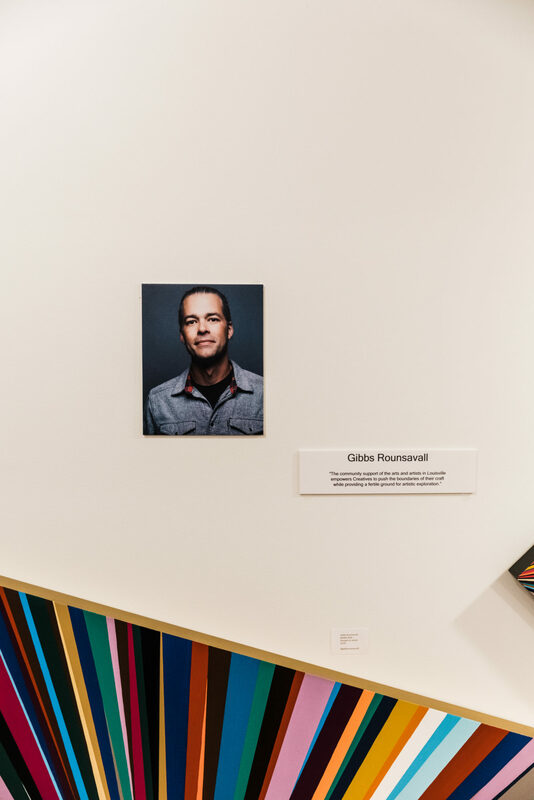 The artists are vetted through a stringent application process and curated down to a group of artists that will then be narrowed down to one Artist in Residence. The artist will begin studio time in mid-May and will then serve as the Artist in Residence for the following nine months. Along with the Artist in Residence program new guestrooms are being rolled out floor by floor as we speak! I was lucky enough to stay in one of the new guestrooms, which are now available to check into, and they’ve really done an amazing job! The new rooms tie in the history of both the Galt House and the region and are expertly appointed no matter what brings you to town. Once all the renovations are wrapped the Galt House will once again be the place to be whether you call Louisville home or are visiting. When it’s all said and done, they will have 7 restaurants on site, amazing local art, and some of the best views in the city. One of the things I’m most excited about with this renovation? The plans they have for their rooftop restaurant – the only one of its kind in town. In the meantime, Down One Bourbon Bar & Restaurant recently re-opened later last year after a revamp of both the space and menu. I got the chance to sample some of the revamped menu items, like their Masa Fried Cheese Curds and an old staple sandwich Three Little Pigs. Also had the opportunity to sample a few of the close to 200 bourbons and whiskeys they have on site. Even got the chance to craft my own flight that is currently up for sampling at the restaurant. So, if you’re local – be sure to stop by and take a flight with some of my favorite Kentucky bourbons! In other restaurant news they’re planning on closing the current rooftop restaurant, Rivue, and will be relaunching the space as a whole new concept. No matter what it is it’s safe to say the views from this 25th floor restaurant will be the talk of the town. It’s incredibly exciting that the Galt House has officially joined Wyndham Hotels & Resorts as one of their Trademark Collection by Wyndham hotels. For not only the hotel, but also for Louisville as a whole. 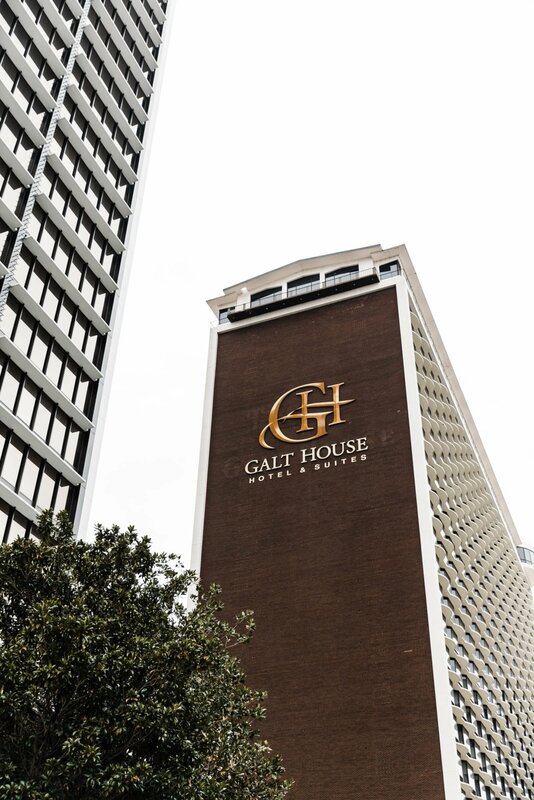 Even more exciting is the news that the Galt House will be the flagship hotel for the collection of nearly 70 global hotels! We can chalk that up to just another feather in Louisville’s ever-growing cap. It’s truly an exciting time to call Louisville home, and an even more exciting time to visit and experience all that Louisville has to offer. Especially now that the Galt House will be a perfect place to stay in the heart of downtown.